Pumpkin and fall just go perfect together, especially with a simple soup recipe. 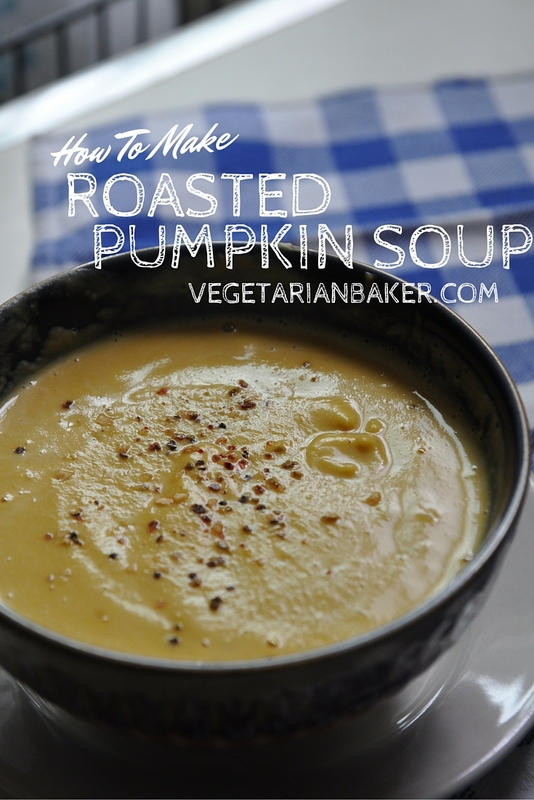 This Roasted Pumpkin Soup is sure to warm you up during these colder months. Don’t be afraid of a whole pumpkin, because is it very simple to work with. However, make sure you get a sugar or pie pumpkin. You can’t use your Jack-O-Lantern from Halloween to make this soup, it just wouldn’t taste correct. I am using the new Vitamix 780 High Powered Blender. Make sure to subscribe to see the future recipes I will be using it to make. 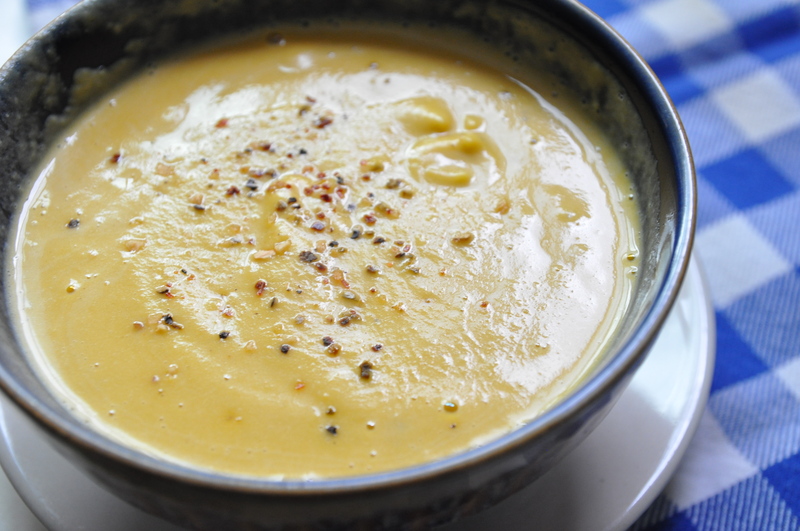 Roasted Pumpkin Soup is a delicious fall soup. Enjoy. Cut and de-seed the sugar pumpkin. Rub in the olive oil, salt, & pepper and place the pumpkin skin down onto a foiled sheet tray. Cook for 30 minutes. After 30 minutes, flip the pumpkin over (skin up) and cook for 30+ more minutes. The flesh of the pumpkin must be fork tender. Once the pumpkin is ready, remove from the oven and allow to cool for 30 minutes. While the pumpkin is cooling, in a medium sauce pan, add 2 tablespoons olive oil, salt & pepper, garlic cloves, and onion. Allow the onions to caramelize and the garlic to release some aroma. Add the vegetable stock & sage leaves. Allow to simmer until the onions become tender. It should take about 30 minutes. Once the pumpkin is cooled, remove the skin. Place the onions, stock, and pumpkin into a high powered blender. Blend until smooth for 60 seconds. Add the cream and blend again. The recipe is freezer friendly.